Cereal is as simple a breakfast as it can get. You just get a bowl and fill it with cereal, splash some milk on it, and you’re ready to go. However, there are other ways to enjoy this humble grain. Here are just a few ideas to get you thinking outside the (cereal) box. There are a LOT of delicious plant-based milks you can pour over your cereal to give it a boost in nutrition. There’s almond milk that’s rich in vitamin E, oat milk that’s full of calcium, and rice milk that’s full of vitamins and minerals like iron, magnesium, manganese, niacin, and selenium. Pregnant women can enjoy a boost of folate with hazelnut milk, while braver souls may want to try coconut milk that may be a bit thinner than whole milk but is rich in lauric acid, a heart-healthy fat. In addition to making your cereal a lot healthier, using plant-based milk also lends additional flavor to your cereal, making it an even more enjoyable dish. Looking for unique sprinkles for your cakes and pastries? Crush up some of your favorite cereal and dust it over the icing for some extra color and texture. You can also use them as toppings for ice creams and frozen yogurt — whether you sprinkle them whole or crushed is up to you. You can even coat a banana in some peanut butter (already a match made in heaven) and make it even better by rolling it in some cereal for a satisfying crunch. Apart from sweet treats, you can also use crushed cereals instead of peanuts to top dishes like casseroles and gratins. Tired of those store-bought, pre-made breading for pork chops and chicken? Why not give it a unique upgrade with crushed cereals? Any crispy or crunchy variant will do! Just make sure to use unflavored or at least lightly flavored ones, such as unglazed cornflakes, Cap’n Crunch, or Cheerios. That’s because sugary cereals will caramelize quickly under high heat, affecting the taste or the dish. You can also use crushed cereals as a binder to help keep burgers, croquettes, and meatballs in shape. As an added bonus, these dishes will also have more interesting flavors and textures. Cornflakes and bran are the best candidates for this cooking job. Chef Christina Tosi of Momofuku scored a homerun with cereal milk: an ice-cold treat that’s both cereal and milk! Good news is that you don’t have to travel all the way to New York City to get a taste of this culinary wonder. Just get yourself some corn flakes, brown sugar, a bit of salt, and whole milk for a simple yet tasty DIY cereal milk recipe. There are many other variations you can find online if you want to achieve different flavors! Instead of munching on chips while bingeing on your favorite TV series, why not make your own trail mix with some whole grain cereals, peanuts, sliced almonds, raisins, and maybe some dried fruits like mangoes, blueberries, and raspberries? Not only is it healthier, it’s also tastier and more colorful! Add some pieces of chocolates, mini marshmallows, and chewy candies for a little sweet treat. Making a dessert crust out of cereal is as simple as crushing it and mixing it with butter and sugar (you can skip the sugar if you’re using sweetened or flavored cereal). Depending on the dessert you’re making, you can use different types of cereal, like chocolate-flavored ones for chocolate cakes or vanilla flakes for cream or s’mores pies. If you want, you can even use high-fiber cereal for a healthier take on desserts. And there you have it. Who would have thought that this morning mainstay can be enjoyed beyond the breakfast bowl? 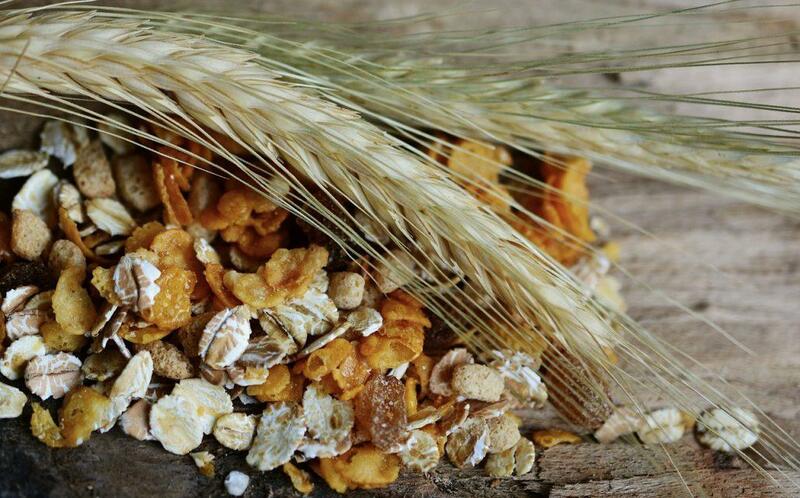 Have you used cereals in other culinary masterpieces?